Arm-in-arm with her son and granddaughter, Mary Agnes Herman slowly stepped into the cool waters of Lac Ste. Anne. Dipping her fingers into the water and making the sign of the cross, she began to pray. With that, the 82-year-old completed her own pilgrimage to Lac Ste. Anne — named after Jesus’ grandmother — for the first time. Herman walked all 429 kilometres from her home in northern Alberta to be there. 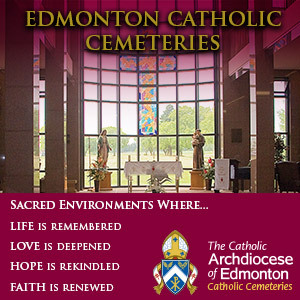 The shortest walking distance from Chard, Alberta to the Lac Ste Anne Pilgrimage site is 429 km. “I did what I set out to do, I did it,” said Herman, who was inspired to make the three-week journey from her home in Chard, Alta. — 126 kilometres south of Fort McMurray — after God called her to Lac Ste. Anne in a dream. 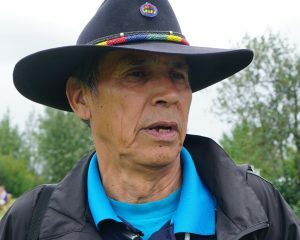 Herman was one of hundreds who made the annual pilgrimage to Lac Ste. Anne, west of Edmonton, this year. The lake is renowned for its healing waters and for its spiritual significance to Catholics and Indigenous people. Herman herself is Dene. Each year, an estimated 35,000 people attend the July 21-26 pilgrimage. Their clusters of blue tarps, tents and motorhomes are overshadowed by the brown peak of St. Anne’s Shrine at the pilgrimage site. 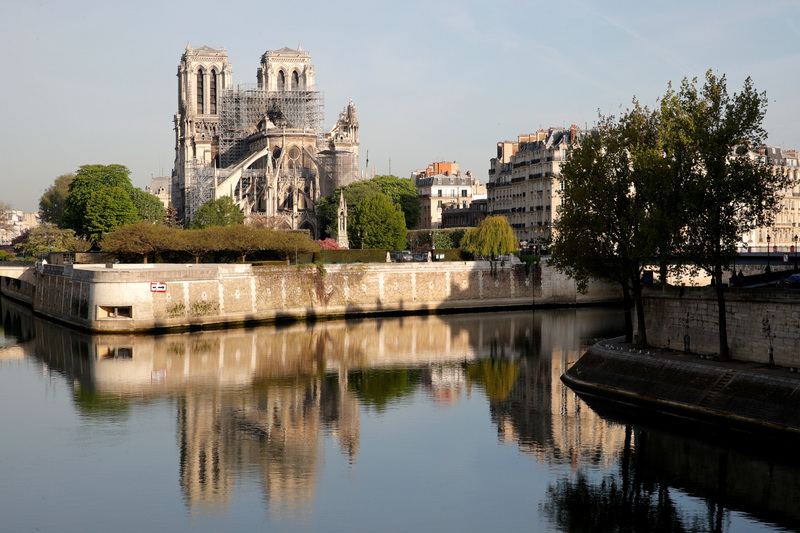 For people like Herman, a Catholic, the pilgrimage is a chance for spiritual renewal. 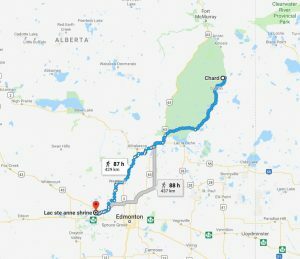 On June 28, she walked an average of 17.8 kilometres a day until she arrived at Lac Ste. Anne on July 21 —the first day of the pilgrimage — surrounded by family and friends who were waiting for her. For some, the pilgrimage is an opportunity for healing from physical injuries. Canes and crutches hang on the walls of the St. Anne Shrine. There is also emotional healing from the personal loss, mental anguish or addictions. Whiskeyjack said his own healing happens during the pilgrimage, when he can express his Catholic faith through his Cree language and culture. “When I speak and pray in my own language, being a residential school survivor, it means more to me because I can focus and concentrate and really know the meaning of the prayer,” said Whiskeyjack, who participated in the pipe ceremony that marked the start of the pilgrimage. 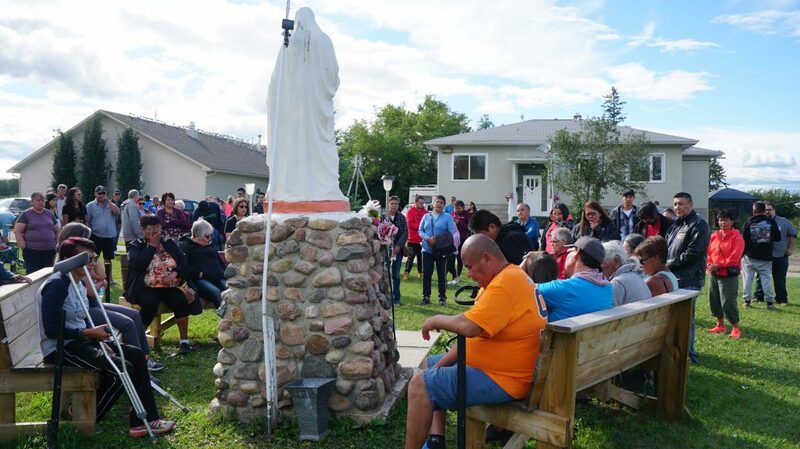 For many in the Indigenous community, the pilgrimage is like a homecoming, says Father Les Kwiatkowski, pastor of Our Lady of Mercy Parish in nearby Enoch. “This is the place where people gather to pray and look for healing, but also very often this is only one time a year where they can meet cousins, relatives, friends, and spend time with them,” said Kwiatkowski. The smell of campfires and children’s laughter fill the Lac Ste. Anne site, signalling the transformation of a quiet lakefront into a bustling makeshift town. While kids play soccer or swim near the shore, pilgrims alternate between visiting family, friends and praying together. “I come here to meet people. Sometimes I see people that I haven’t seen for 30, 40 years. 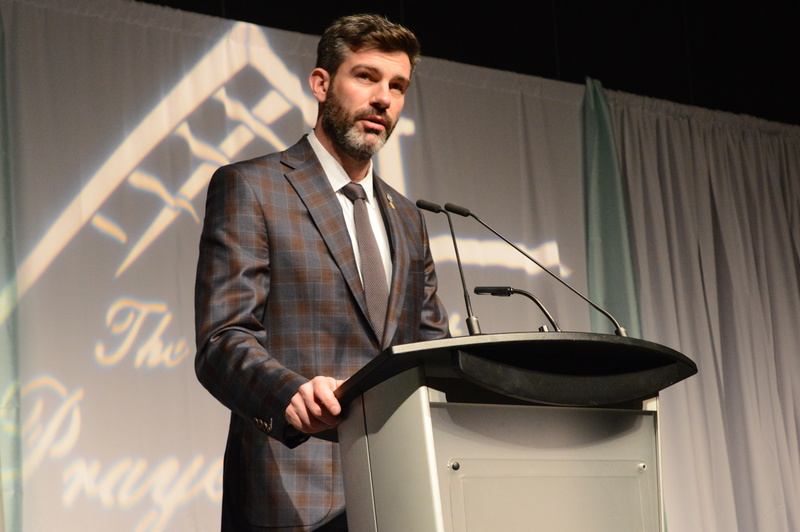 They come from all over the country,” said Alfred Chalifoux, who has been coming from Mearns, Alta., to Lac Ste. Anne for more than 45 years to honour his mother and her Catholic faith. Chalifoux said he isn’t particularly religious, but he continues to make the pilgrimage because his mother had a strong faith in the sacred power of the lake. It’s this same faith that drives pilgrims to the lake, blessed by Catholic priests on the Sunday of every pilgrimage. While some walk or are carried into the water, other pilgrims fill dozens of plastic bottles. “They take it home and you take enough home to last all year. You bless your house, if you’re sick some people drink it, some people soak in it. It’s holy water,” said Mary-Anne Chalifoux, Alfred’s niece. 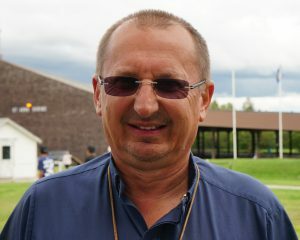 The holiness of Lac Ste. Anne was recognized well before the Catholic missionaries arrived in 1887. The Alexis Nakota Sioux First Nation call it Wakamne, or “God’s Lake,” and to the Cree it’s Manito Sahkahigan or “Spirit Lake.” Father Jean-Baptiste Thibault, an Oblate priest and missionary, dedicated the lake to St. Anne, the mother of Mary and Jesus’ grandmother. Kwiatkowski wonders if those missionaries knew the significance of that gesture. In many Indigenous cultures, which are matriarchal, the grandmother is held in the highest esteem. 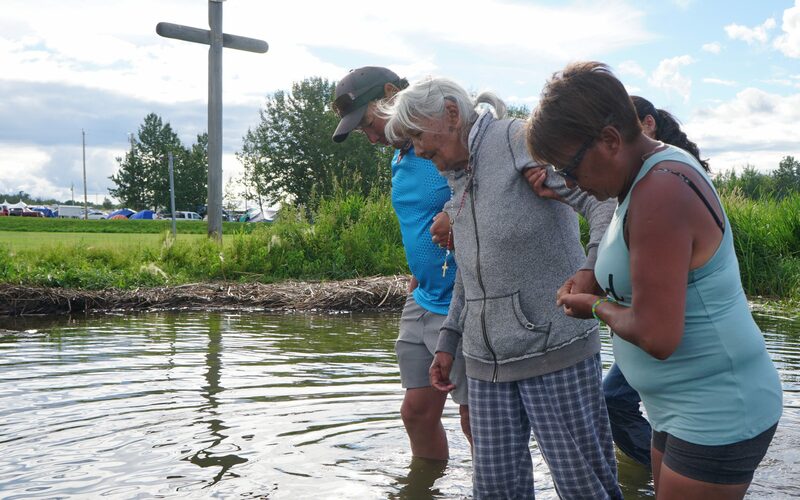 “So people come here to St. Anne, to their grandma — to their kokum, they call her — to simply search for some kind of healing, some kind of blessing from our Creator and Jesus,” Kwiatkowski said. God bless her faithfilled. Soul.